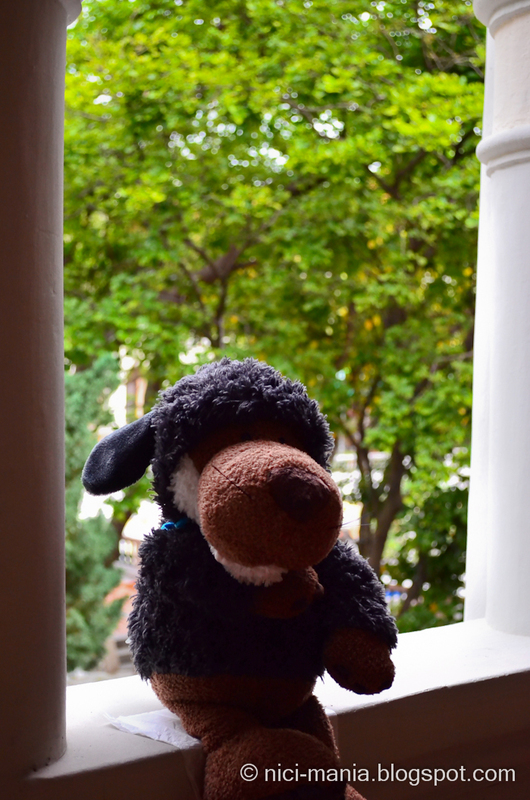 Today we brought Hugo Wolf to Chijmes (pronounced as chimes). 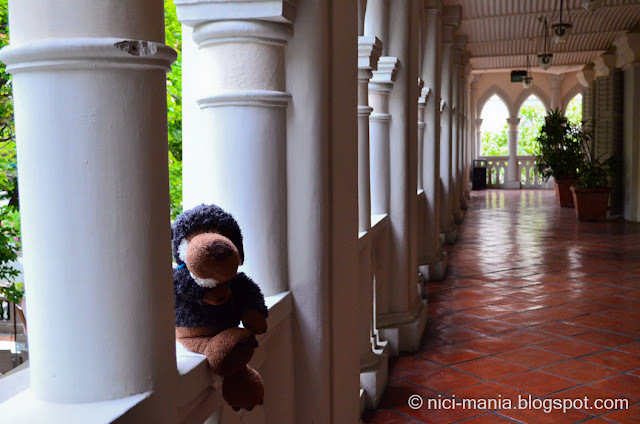 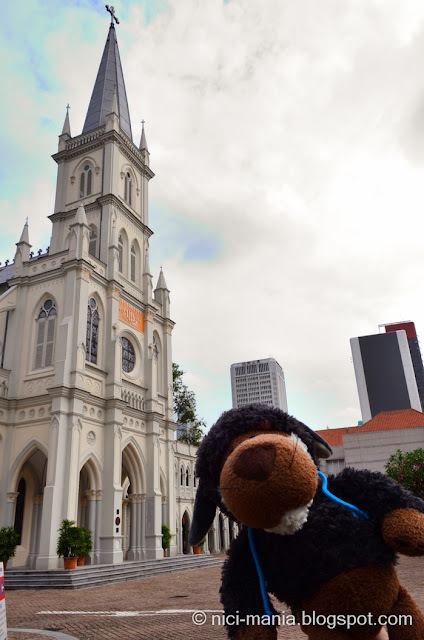 Chijmes is a historical building in Singapore which previously served as a catholic convent called the Convent of Holy Infant Jesus. 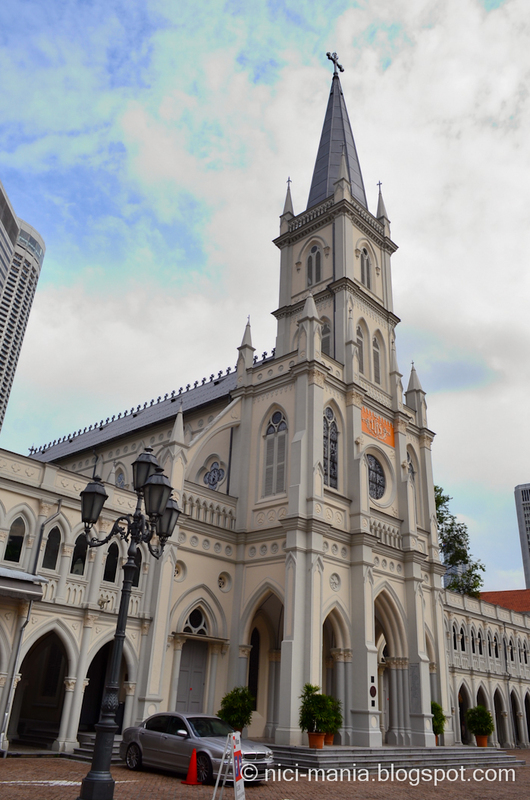 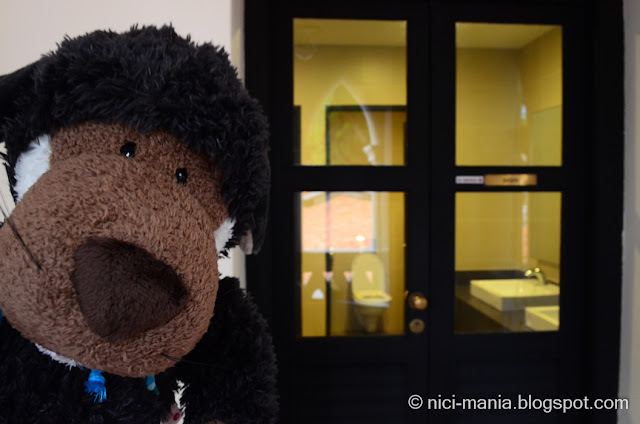 Chijmes has since been restored to a commercial building for restaurants, bars and shops. 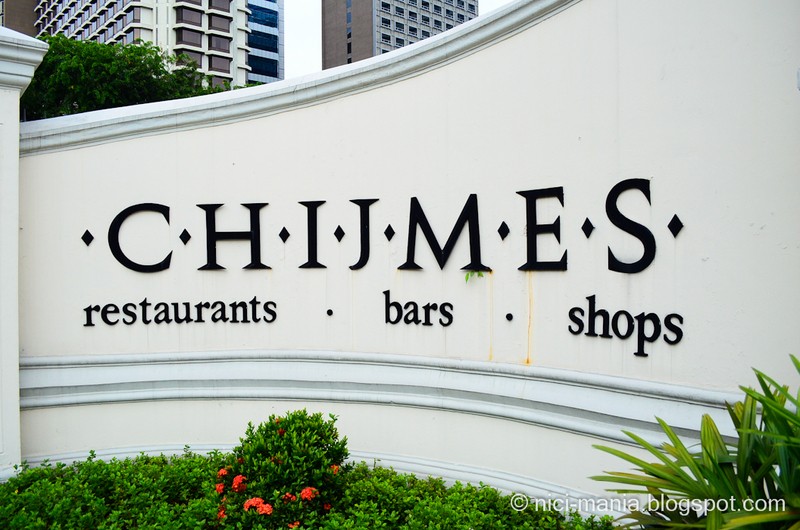 Located at the central area near City Hall MRT, Chijmes is a great place for food and drinks with a unique entourage. 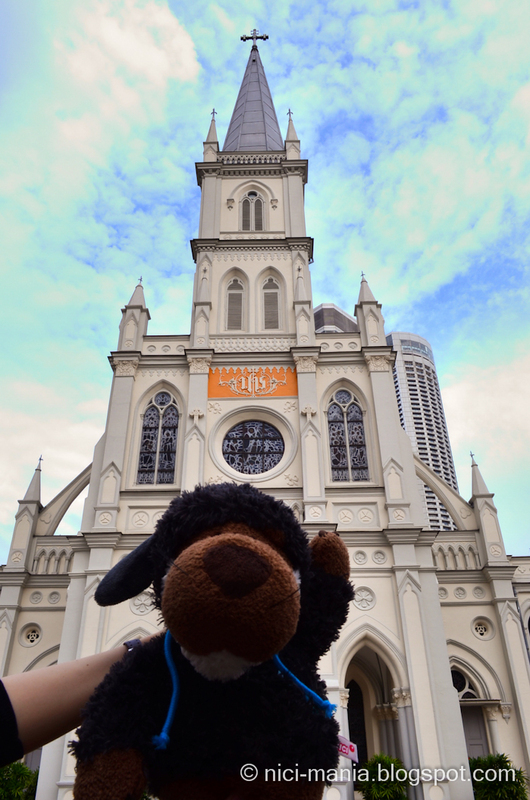 On the entrance of Chijmes, there is a beautiful Gothic style chapel which Hugo Wolf is right in front of. 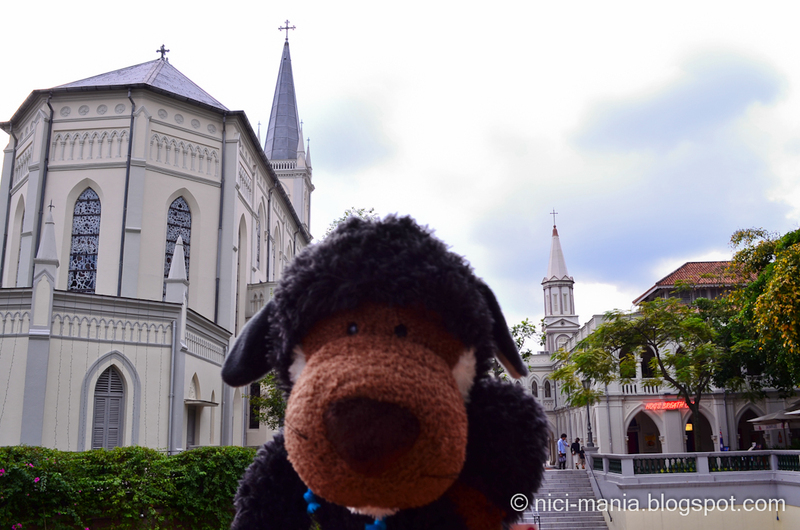 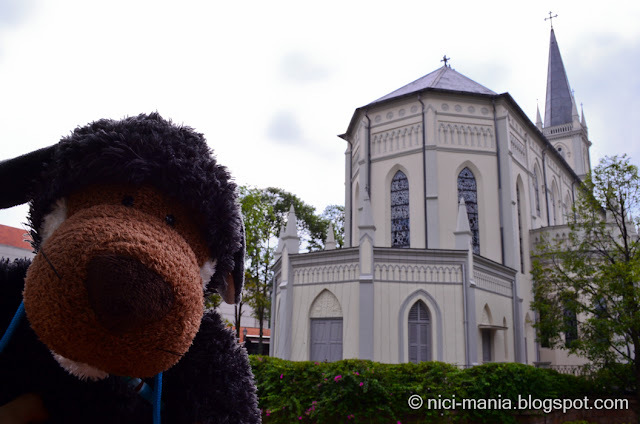 A good view of the chapel in Chijmes without Hugo. 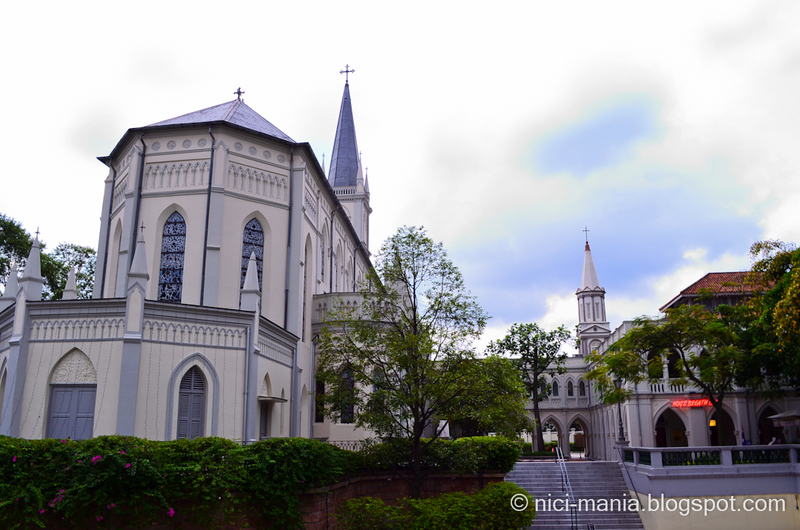 Gothic design is absolutely gorgeous. Inside the Chijmes building, you will instantly be greeted with lots of restaurants and bars. 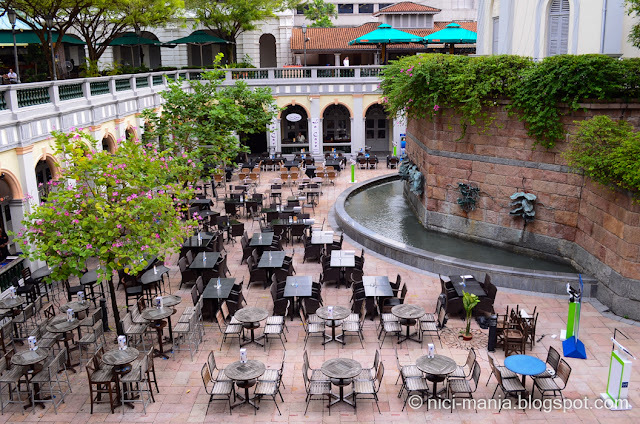 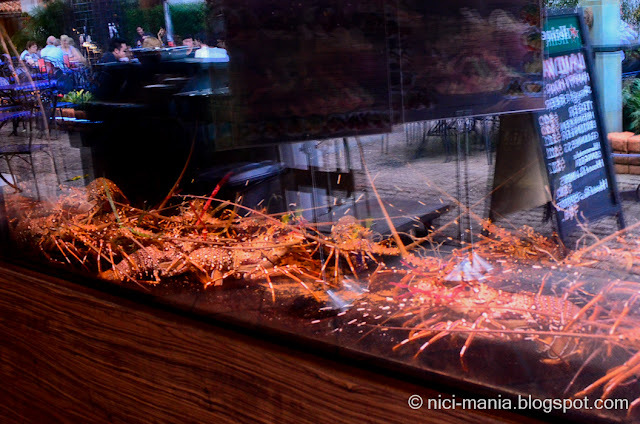 Restaurants and bars in Chijmes mostly cater for business at night so its without a soul now. 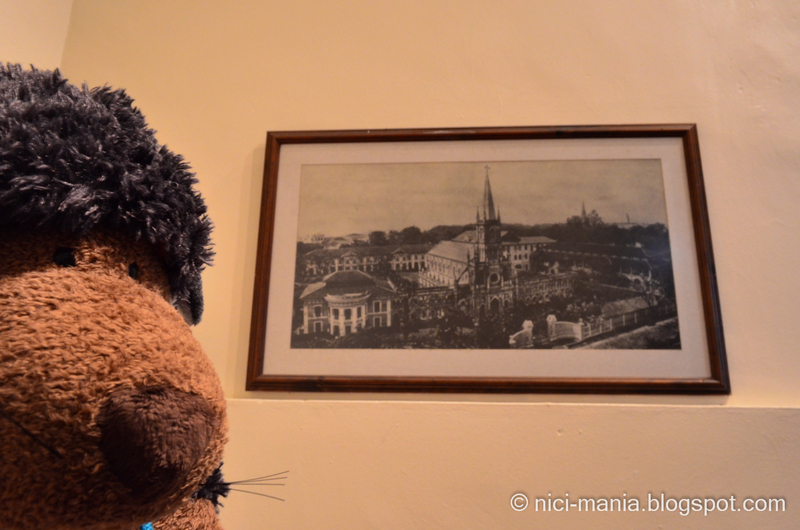 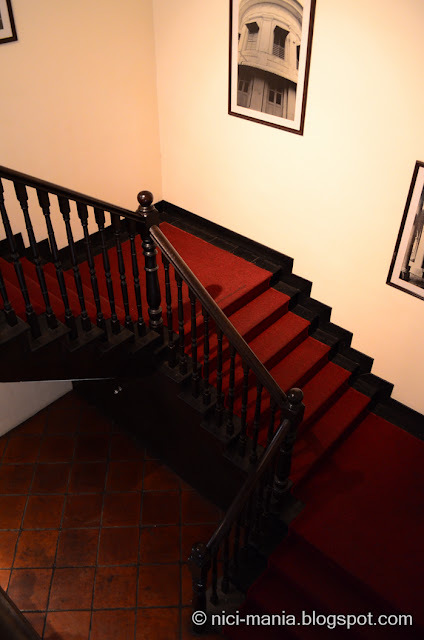 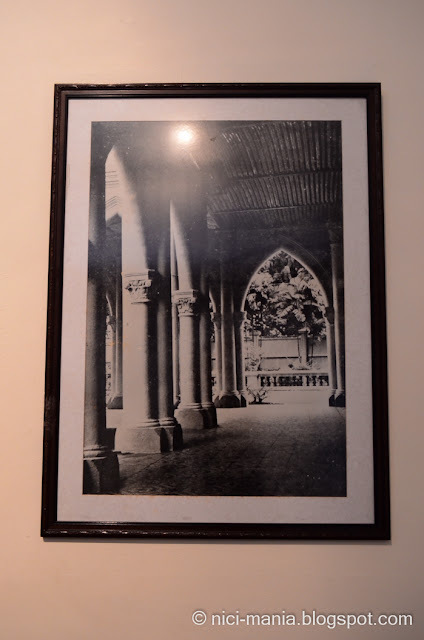 We will head upstairs and have a look around Chijmes..What is Hugo Wolf doing at the staircase..
As we ascend upstairs, we see some old pictures hanging on the wall of how the Chijmes building looked like in the olden days. 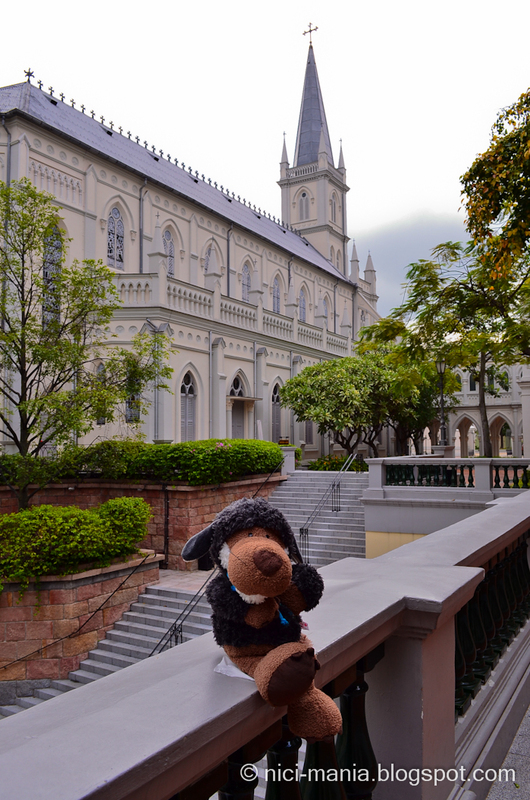 As we descend the staircase in Chijmes..
Hugo Wolf came across another old picture of Chijmes, the entrance and the chapel looks exactly the same isn't it? Hugo Wolf at Chijmes with the view of the chapel from the side..
Hugo Wolf at Chijmes and another view of the chapel from the back.. The chapel of Chijmes is on the left and the other building with a cross is the Cathedral Of The Good Shepherd. 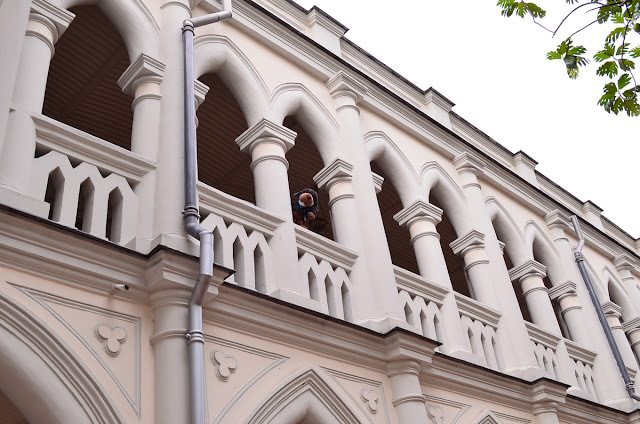 We will pay a visit there one day. 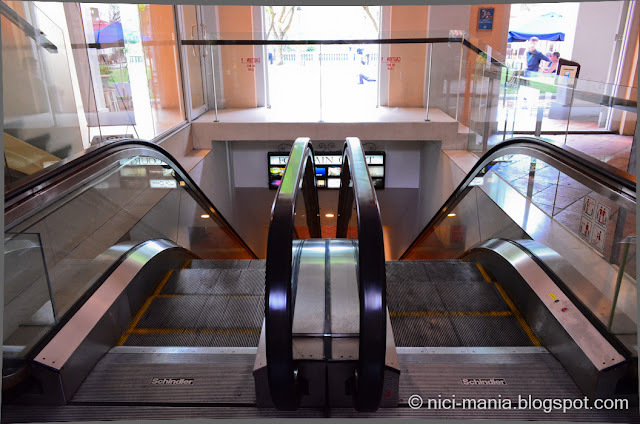 There's an escalator in Chijmes! An old building with modern infrastructure. Look at the lobsters! 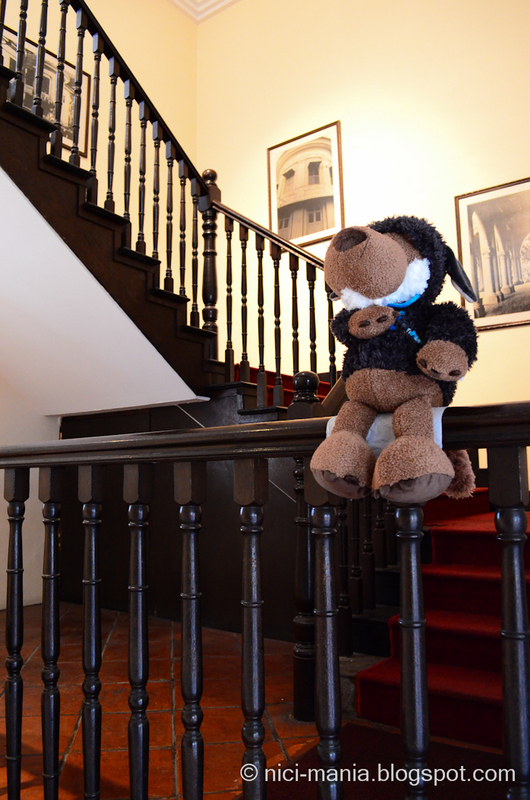 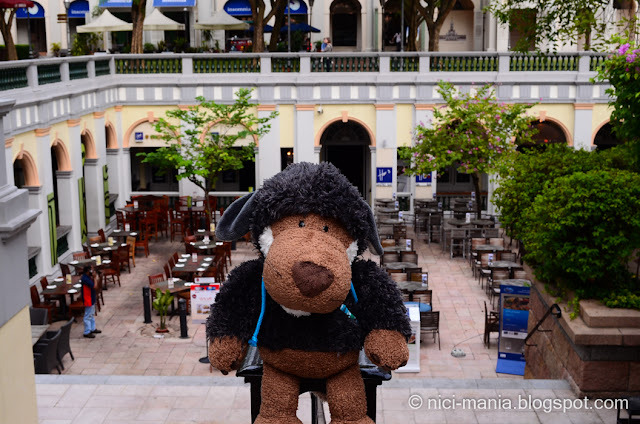 Alright we will leave you with one last picture for Chijmes..
Hehe, Hugo we like this wolf sculpture, it's beary cool! How great would it be seeing Hugo Wolf going up or down the stairway haha..